We are looking forward to when the winner of each award will be announced on 6th March 2019 at a gala evening in the Sheraton Grand London Park Lane Hotel in Piccadilly. Music education is important for everyone, regardless of their background, circumstances, ability to pay and prior experiences. Sometimes it is the case that those with special educational needs get overlooked when it comes to having access to appropriate and challenging musical learning that is enjoyable, engaging and encourages them to make musical progress. Happily, that is not the case in Leicestershire. It is fantastic that they have put inclusion at the heart of their curriculum offer for special schools. Not just talking about it, but actually embedding it through their work and encouraging schools to work inclusively. Working collaboratively with a variety of expert teachers and Transformance Music, the Leiester-shire Schools Music Service have carefully created these schemes for working with children with a wide range of special educational needs and disabilities. They are detailed enough to help teachers understand the underpinning philosophy and purpose, and flexible enough to give schools a great springboard from which to further personalise them to fit their own context should they wish. They embed the essence of the current National Curriculum for Music and are flexible enough to be adapted for pupils of all experience levels from early years to Key Stage 4. Whether you are a teacher with many years of experience or just dipping your toes into music teaching for the first time, there is something in here for you and your pupils. The well-sequenced units are jam packed with links to resources, videos and ideas for the wider curriculum. They help teachers to understand the range of musical responses that pupils may give. At the heart of this work is a 'have a go' culture; not just talking about music but creating, making and responding using a variety of instruments and technologies. It's time we stopped looking at what young people can't do and focus instead on what they can do, nurturing and encouraging them to make and create the music they want to be part of. This relevant and inspiring curriculum does just that. Congratulations to LSMS for their continued efforts in bringing music education to everyone. LSMS, in partnership with Lead Music Practitioners across Leicester-Shire, are proud to share a comprehensive and inclusive SEND Scheme of Work offering both specialist and non-specialist music teachers a resource to help them feel confident in delivering good quality music lessons. The Scheme as a whole provides an outline for learning outcomes that can be related to any assessment framework and are designed to fit with any topic or theme. Music Technology has been incorporated in a constructive way to support the development of students' music skills rather than as a recreational tool. The Units of Work are adaptable and user friendly for all abilities / mixed ability groups from EYFS to Key Stage 4. The planning has been colour coded according to Key Stage. Please note that resources suggested in the planning may need adapting if you are using with younger / older students. 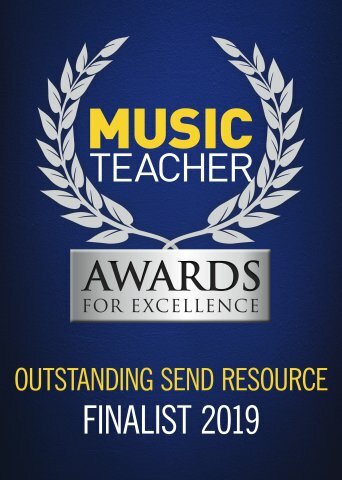 Please click here to BUY the LSMS SEND Music Curriculum. Please click here to ACCESS the LSMS SEND Music Curriculum. N.B. This resource is password protected. Please contact Sarah Share at LSMS for further information and to arrange access. How do I teach musical lessons that fit with the school topics? How do I teach music to a class of students with a range of abilities? How do I lead and support teachers in the school to teach music when I don't have a good knowledge, skill and understanding in music? The Scheme is composed of Units of Work on a variety of musical themes all written by Kate Hallam-Jones, Matt Green and Mark Wilson who are all practicing Music Co-ordinators in their respective schools. Our thanks go to Alison Mitchell who has collated, formatted and spent many hours proof reading the planning. Please click on a contributor below to access further information. Matt Green is a teacher and Music Coordinator at Ashmount School and has recently worked with researchers at De Montfort University on creating international MESH guides for music teaching which is grounded in educational and music technology research. In school Matt teachers music to Upper Key Stage 2 pupils and has written school-wide resources and guides for other teachers. Matt believes that music and technology can open doors and break down barriers to learning when used effectively. Prior to becoming a music teacher, Kate completed a music degree at Huddersfield university, with a focus on composition and research into the impact of music on the learning of pupils with Autism. During this time she also volunteered and worked in a number of special Needs settings including Mencap play schemes and special schools. Kate then went on to complete a secondary music PGCE at Nottingham Trent University. During her university career she continued to gain experience of working with children with SEND, including being involved with rehearsals for a performance at a local special school. Kate's first teaching role was as a music teacher at City of Leicester College where she taught across Key stages 3, 4 and 5 teaching music at GCSE level and the Rock School Access to music courses at Key Stage 4 and 5 in music performance and music technology. She worked as acting head of department for a year before accepting a position as a special needs teacher at Birkett House School, a 4-14 school catering for pupils with a range of additional needs including PMLD, complex needs, SLD and Autism, where she completed a certificate in special needs education. During her role at Birkett House Kate has taught across the age and ability range of the school. As well as teaching all curriculum areas to classes, she has delivered music lessons to groups and classes across the school and embedded music across the curriculum within her own teaching. She is involved in the continual development of the Birkett house curriculum, with a particular focus on their complex needs and semi-formal learners, and has written and developed music schemes of work for key stages 1 and 2 to be used by all teachers in the primary department. Kate is experienced in differentiating for all abilities and in planning in line with the national curriculum in a way that is relevant and stimulating for all pupils. As part of her current role, Kate also plans and leads a weekly singing assembly and supports pupils in a sing and sign club. Kate strongly believes that music is and should be accessible for all and that high quality music teaching can help pupils with SEND to achieve in all areas. Sarah has enjoyed primary classroom teaching in schools in Leicester City and County and over time she has taught all primary year groups from EYFS to Year 6, including being a school's Music Specialist. Sarah started working for LSMS in 2012 as the Area Music Leader for Leicester City in which she delivered whole class ensemble tuition on the flute and supported Music Coordinators in City schools. Sarah is currently the Specialist Leader in Education (Music) at LSMS; utilising her music degree and PGCE to support Primary Headteachers and Music Co-ordinators in providing their pupils with high quality music provision. Previously Sarah implemented and led the creation of the LSMS Primary Music Curriculum supported by group of LSMS Lead Practitioners. She has introduced and led a range of exciting an innovative musical opportunities in SEN schools and the Children's Hospital School. Mark Wilson is a Teacher and Music Coordinator at Dorothy Goodman School. He is currently undertaking a PGCert, in partnership with LSMS, in Sounds of Intent. Prior to becoming a teacher, Mark studied at Leeds College of Music where he was awarded an honours degree specialising in classical music and performance on the Clarinet and Saxophone. He was awarded the prestigious Owen-Morley Prize for Woodwind in 2009, and currently remains the only first year student to have been awarded the prize since it was established. He later went on to complete the GTP at Beauchamp College gaining QTS in Music. Mark started his teaching career delivering GCSE and A level music in mainstream schools before moving to Dorothy Goodman School to pursue a career in SEN teaching. He has experience in working across the full age range (EYFS-KS5) delivering Music to students with a range of needs including those with ASD, PMLD, SLD and EBSD. Within his role as Music Coordinator Mark is involved in leading the continual professional development of Music teaching and learning and works collaboratively with external providers to offer a range of enrichment experiences and extra-curricular activities. Mark is a passionate practitioner who believes in developing and promoting age-appropriate, stimulating and engaging opportunities for young people with SEND through the medium of Music.